The urban economy is changing, and so are the locational needs for companies and workers. How can cities cope with this? 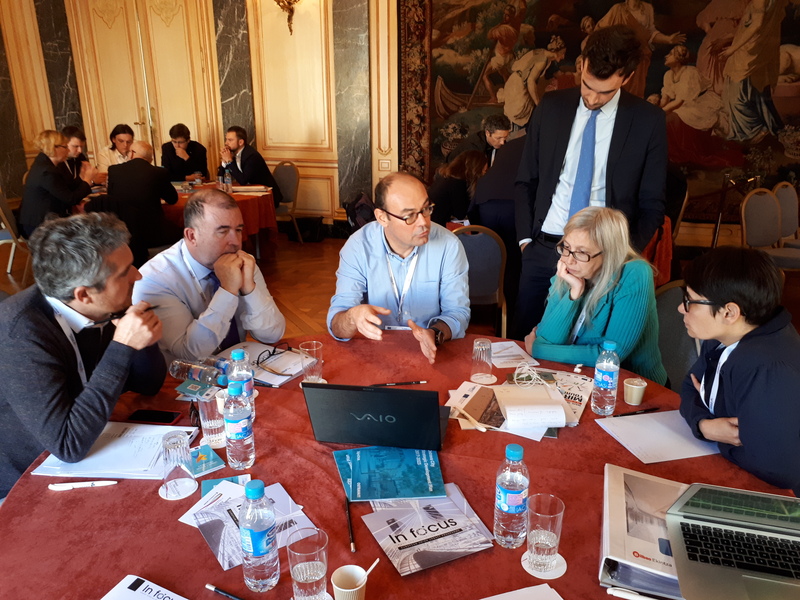 URBACT IN FOCUS partners reflected on the development of new workspaces and places, in the context of smart specialisation strategies of cities and regions during the Transnational Workshop held in Bordeaux from 22-24 November 2017. The 10 members of the IN FOCUS project gathered, and exchanged experiences regarding their efforts to promote and develop new spaces & places for the urban knowledge economy. In this meeting, we explored how cities, in coordination with other stakeholders, can create and manage urban environments that foster innovation activities and smart specialisation. As the meeting took place in Bordeaux, heavy emphasis was put on Bordeaux locations and hotspots. Over the last years, the city has developed an interesting portfolio of places and spaces, with distinct characteristics. For instance, we had the opportunity to visit Bordeaux-Euratlantique, one of the largest development operations in France with more than 730 ha in Bordeaux, Bègles and Floirac. The area is an Operation of National Interest (OIN), and it will host a large variety of creative firms, services industries and knowledge-based industries, mixed with housing and cultural amenities. But we learned about other examples of large urban (re) developments for fostering economic development. The redevelopment of Bilbao Zorrotzaurre Island, former home of several manufacturing plants that abandoned the place, is a priority to take Bilbao to a next level as city of knowledge and innovation. The ambitious and integrated plan contains a mixed programme of housing, retail, offices, production spaces, two technology parks; a redesign of the streets and public spaces and public transport, and new bridges. It is a multi-million programme, to be developed in stages, with a large number of stakeholders, public and private, and with involvement of the citizens that currently live there. Grenoble is developing a large peninsula, historically a defence area with a polygonal shape. It was renamed “scientific polygon”, after many scientific institutions were established there. The next step is to diversity the area; open not only to scientists but as urbanized area for all citizens. The area will remain a powerhouse of higher education and R&D, but it is enriched with housing (2400 family homes), business/services/retail (160k m2), and leisure functions. In this workshop, we also focused on the development of a very important type of innovation hotspot: the university campus. In recent years, we see significant changes in ideas how university campuses are planned. Business and entrepreneurship have now a more prominent place; campuses are becoming more diverse, or “urban”, with more functions (facilities, restaurants, student housing, business facilities). We had the opportunity to know in more detail the cases of the University of Bordeaux, and Mervi Huhtelin, from the Tampere University of Technology, explained the case of KampusAreena Tampere. In Bordeaux, we discussed the emergence and importance of co-working spaces, and how and to what extent can co-working lead to innovation. Co-working spaces are a fast rising phenomenon in Europe’s cities, powered by the fast rise of independent workers and the growing number of small start-up companies. During our meeting in Bordeaux, we learned more about two relatively new spaces: an incubator, and a new co-working space. Both of them applied a mix of the strategies outlined above to promote interaction and collaboration. Hemera is a new co-working space in Bordeaux, aiming at new entrepreneurs. The goal is not to rent out office space, but to create a community of entrepreneurs there, that support each other in their business development. Le Village is a project (developed by the bank Credit Agricole) to link up large companies with start-ups. Its mission is to stimulate talents, to help young companies in their business development, to create innovation in the area and promote the local economy. IN FOCUS partners took part in an interesting exercise designing the “perfect” co-working space.